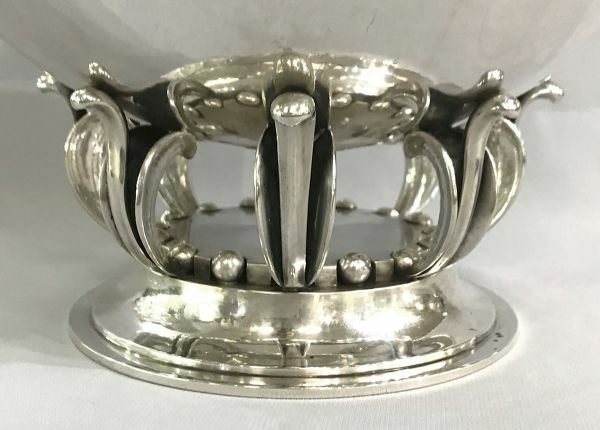 Georg Jensen sterling silver pedestal bowl, # 584C. Designed by Gustav Pedersen (1895-1972), circa 1932. 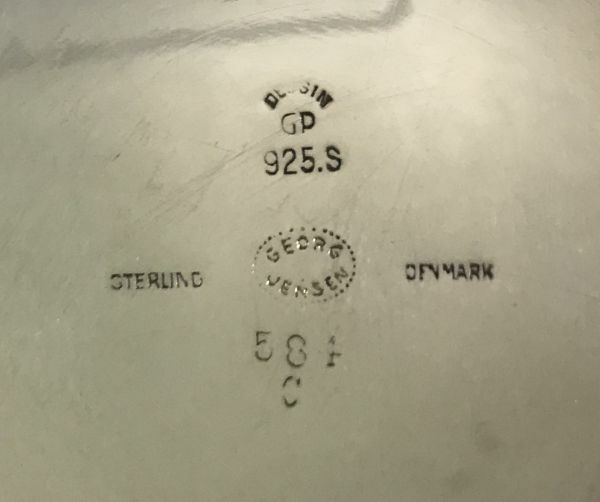 Pedersen worked for Jensen from 1915 to 1965 and was the foreman of the hollow ware department from 1917 on. 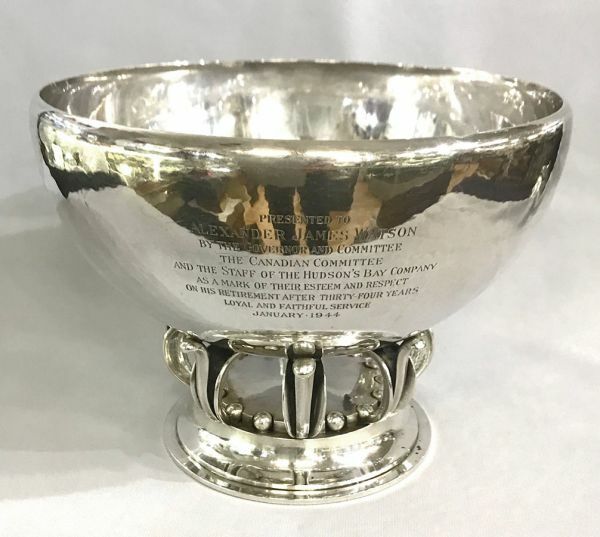 This bowl was presented to Alexander Watson in January 1944 upon his retirement from The Hudson’s Bay Company. 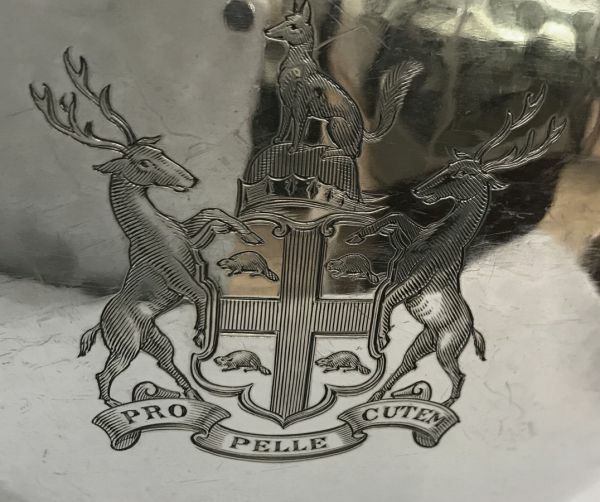 The coat of arms of HBC is on the reverse, with the motto “Pro Pelle Cutem”. It is Latin for “ a skin for a skin”. 9 1/2” diameter, 7” high.